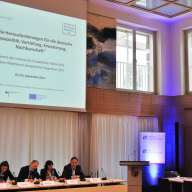 On September 25/26 Institut für Europäische Politik organised an academic conference in cooperation with the Arbeitskreis Europäische Integration. 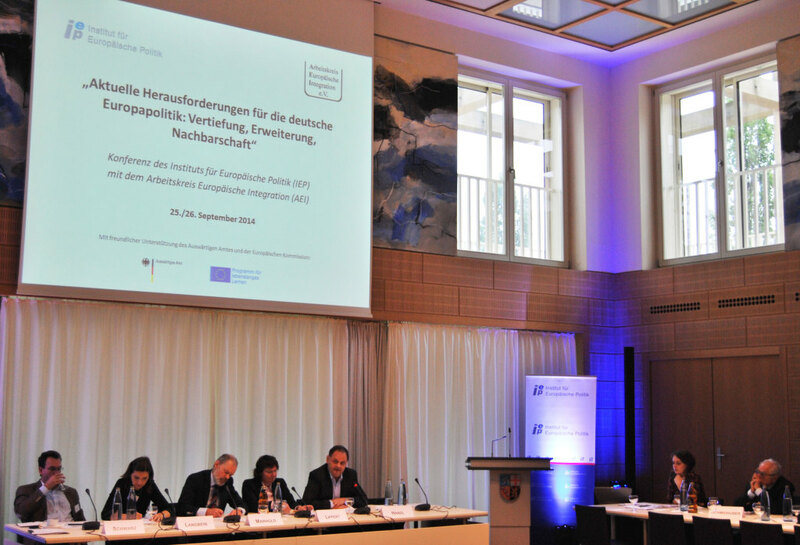 More than 50 academics and practitioners gathered in Berlin in order to discuss the “Current Challenges for Germany’s European Policy: Deepening, Widening, Neighbourhood“. 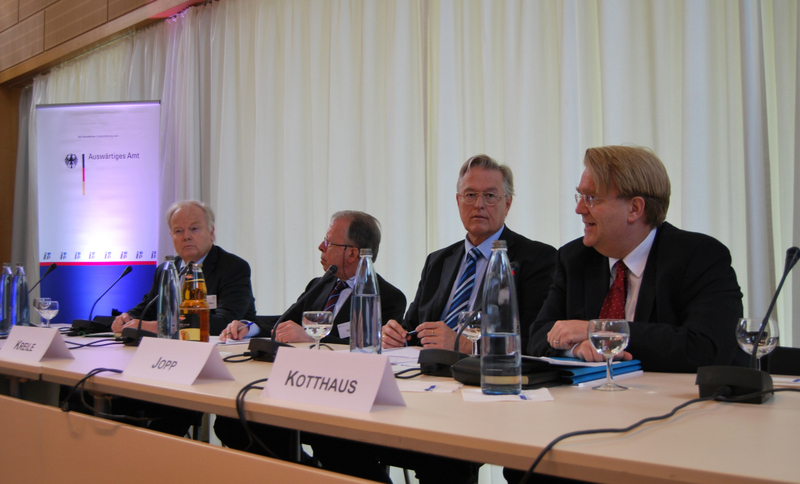 During the first panel potential further strategies for reforming the EU’s political system were discussed. 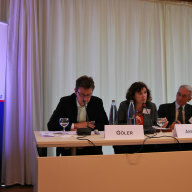 All panelists including members from the Spinelli Group, and the Glienicker Gruppe agreed that the Lisbon Treaty provided an appropriate legal framework for current challenges and demanded full exploitation of its text. 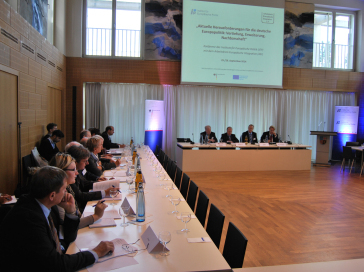 Ideas were exchanged on the question of how to deal with increasing heterogeneity among the EU Member States and necessary reforms of EU institutions in order to increase their democratic legitimacy. 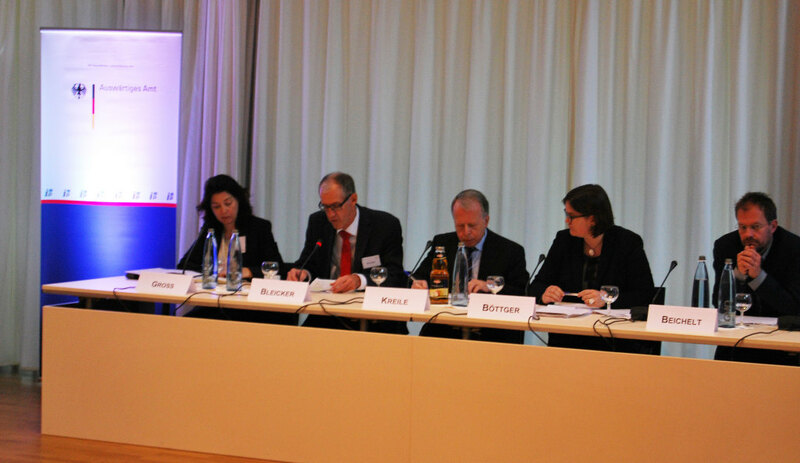 The second panel dealt with the reforms of the Economic and Monetary Union. 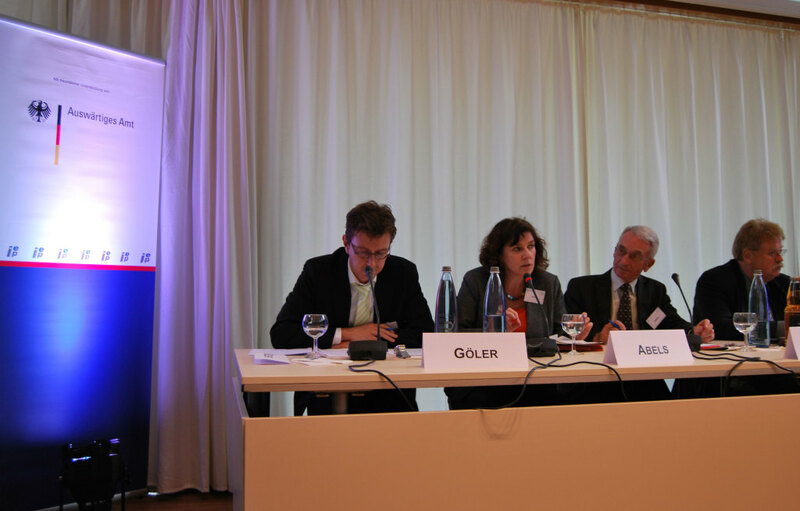 Given that the crisis management within the Eurozone was perceived successful so far, the panelists focused on questions of how to increase the EU’s competitiveness and of how to guarantee liability of future national economic reforms. 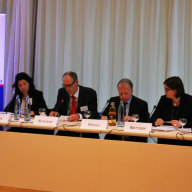 The future role of the EU’s enlargement policy as a foreign policy tool was discussed during the conference’s third panel. 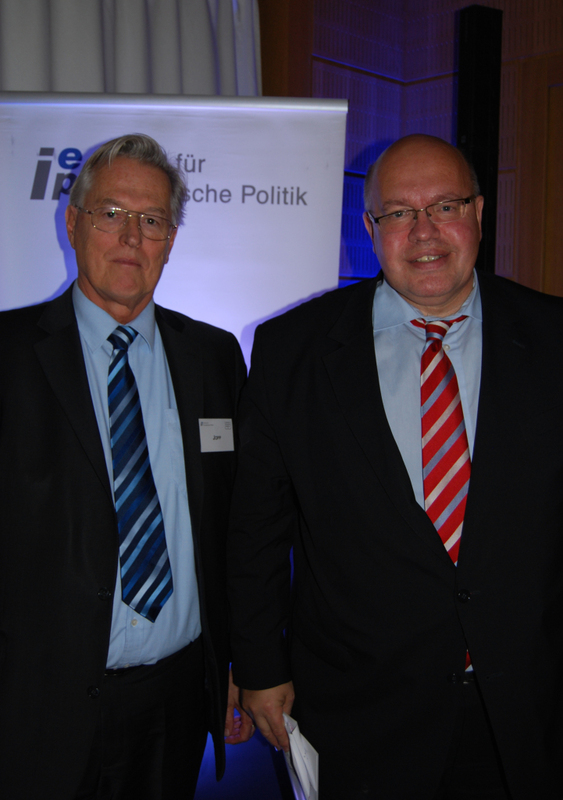 Enlargement policy was defined to represent an integration rather than a foreign policy tool of the EU. This means that it needed to be complemented by foreign policy initiatives. In light of these considerations the preconditions for a successful enlargement policy were debated. 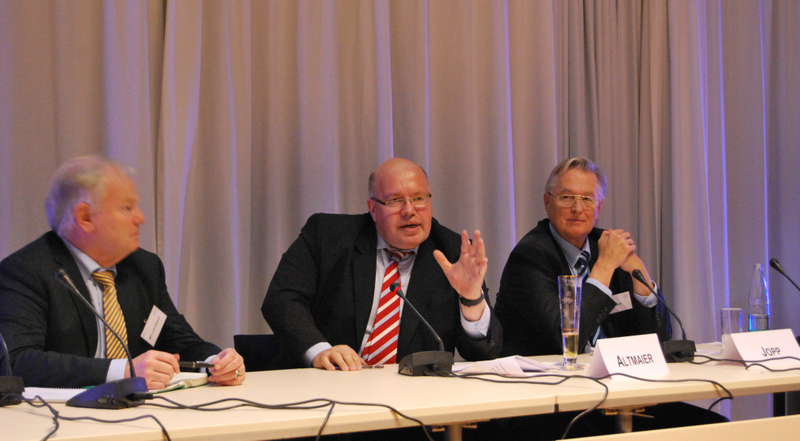 The conference concluded with discussions on the European Neighbourhood Policy (ENP). 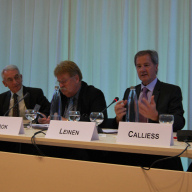 This debate was guided by the question of whether the general principles of the ENP needed redefinition. 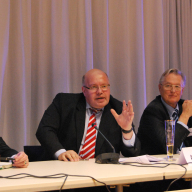 In light of the latest developments the panelists agreed that the ENP needed a differentiated approach and other global actors and their interests needed to be included in the considerations of how to stabilize the neighbourhood that currently represented rather a ring of fire than a ring of friends. 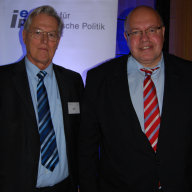 The conference was completed by a dinner speech by Peter Altmaier, Head of the Federal Chancellery and Federal Minister of Special Tasks, and a concluding speech by Werner Hoyer, President of the European Investment Bank. 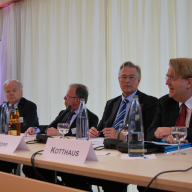 The conference was supported by the Federal Foreign Office and the European Commission.